With all three children and their families residing across the Tasman our sellers are making the move to the Gold Coast to spend these priceless years nearby. So everyone wins, including the next lucky owner of this classic brick and tile very functional townhouse. Built in the 1980s, there is a style and efficacy unique to that era and this solid, dependable construction will be certain to appeal. Set on its own title of 434sqm, this is a warm and welcoming home ready for you to move right on in. Single level homes with a delightful north and west aspect are always in demand and there is much to charm a professional couple or those wishing to downscale, on offer here. There is just the right amount of garden to keep green fingers happy and to entertain family and friends. 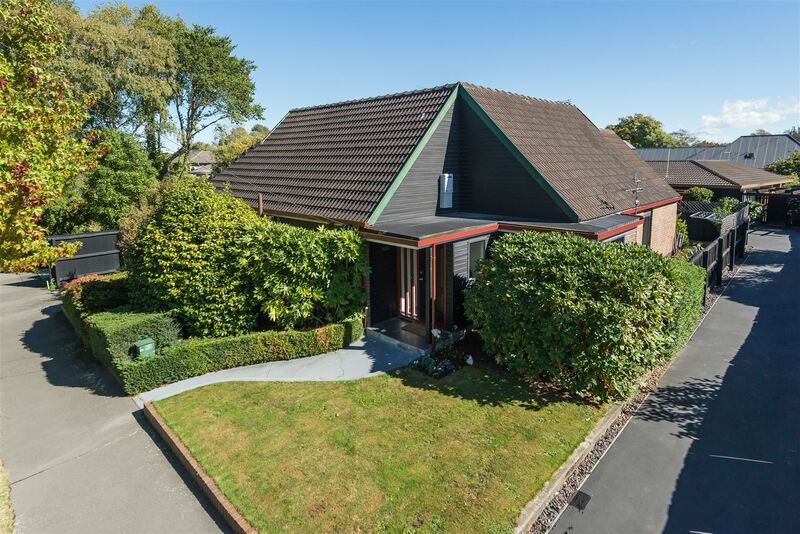 With sought after Paparoa St School just a few minutes’ walk away, this could be an affordable option. Outdoor living is sheltered and private with a spacious decking facing north-west, capturing the last of the evening sun. Our sellers have loved their ten plus years here and especially the proximity to Merivale, Northlands and the city, but they are determined in their resolve to see a sold sign in order to make their move.